The troubleshooting labs found on my website are a bit different from the ‘normal’ configuration labs, they will require different skills to solve them. If you have the feeling you have mastered a certain protocol you can try to do a troubleshooting lab and see for yourself if you are as good as you think you are. The normal labs only have the IP addresses preconfigured. You need to lookup the required commands yourself to finish the goal. Browse through your book(s), Google your way around, check the Cisco site…watch your videos, check your notes and so on. The troubleshooting labs are preconfigured for you. They are just (seriously) messed up to make your life horrible you really think about the protocol, how it is meant to work and what you should change to fix the problems. To beat a troubleshooting lab you should NOT use the ‘show run‘ command. Now what could possibly be a valid reason not to use such a useful command? If you use the show run command, you can just compare the startup configuration to another router…see the difference and copy/paste the problem away. This doesn’t teach you anything except for excellent comparing and copy/paste skills. Using the appropiate ‘debug’ and ‘show’ commands will tell you exactly what is wrong and you will learn WHAT is going on. For example using a ‘debug ip ospf neighbor adj’ command will show you an authentication mismatch, or a misconfigured MD5 key and so on. It will take you a much longer time to solve these labs without using ‘show run’ but the skills you develop are exactly what you need for real life troubleshooting, beating the CCNP TSHOOT exam or even a CCIE exam. The goal is not to beat the lab with warp 9 but to actually learn something. Yes, it’s harder…it takes time…nobody said it’s easy being a network engineer! I hope you have fun, good luck! 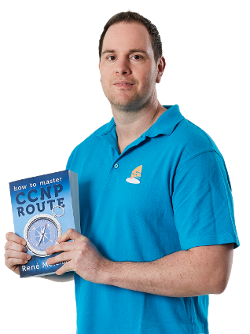 please launch your ccnp tshoot book. i want to buy your tshoot book. 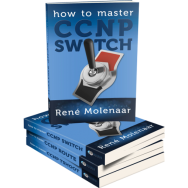 i already purchased your ccnp-route&ccnp-switch books. It’s good to hear that you want to read it. I’m a bit delayed but i’m working on it today and not stopping this+next week till it’s done 😉 Thanks for your support 🙂 I’ll let you know as soon as it’s done ok?